Put these in my window boxes in the front of my home. they are beautiful and look so real. These are such a great option for those of us who want the color of flowers, but do not want the frustration of real ones just to feed the deer (they come right up on my terrace) !! I have used these for at least 4 summers now, and they hold up very well. I alternate with the petunias each year, and now adding the begonias to the rotation. I bought 2 of these bushes for my front porch, I thought they were a little expensive but I decided to take a chance seeing that I do not have a greem thumb and I hate watering plants, well i dont hate it I just forget all the time,anyway to my surprise these bushes are beautiful they look so real i couldn't believe, I loved it so much I bought 4 more, great buy and the price doesn't seem so bad seeing that this plant would last me forever. love it!!!!! I would definitely buy these impatiens again. Beautiful!!! 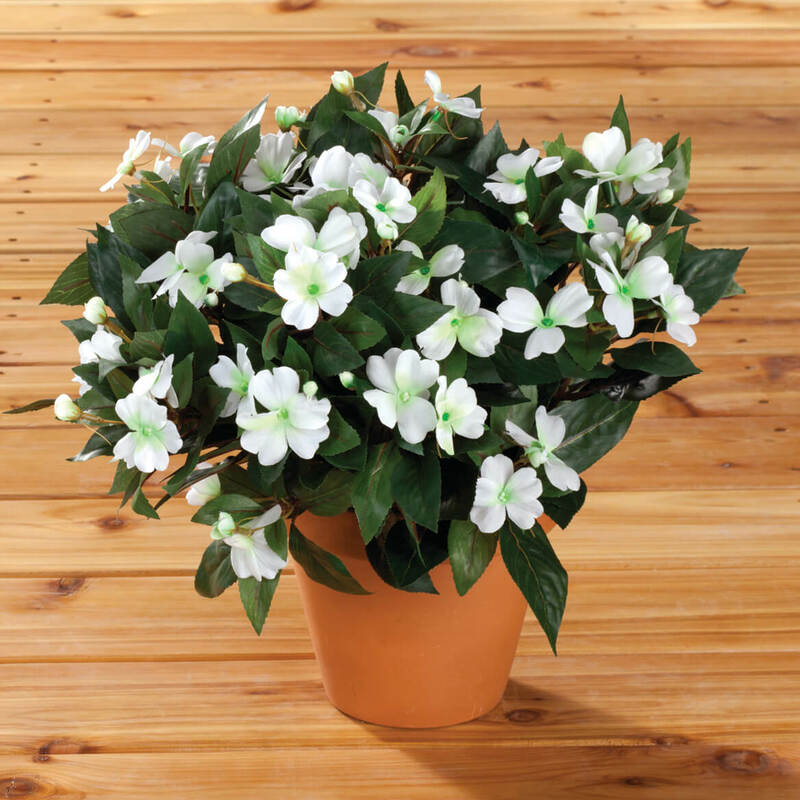 I bought ten of these plants to use in a "garden" where the soil is poor and watering is difficult. I put them into two long planters. The bright pink that I bought has brightened up the garden and added some life to it. Very pleased with the final result. These blend well with real impatients, but are also attractive potted alone providing they are not heavily spotted under direct sunlight. My mom got these fresh every year for her porch. Now that she has passed they are by her grave. 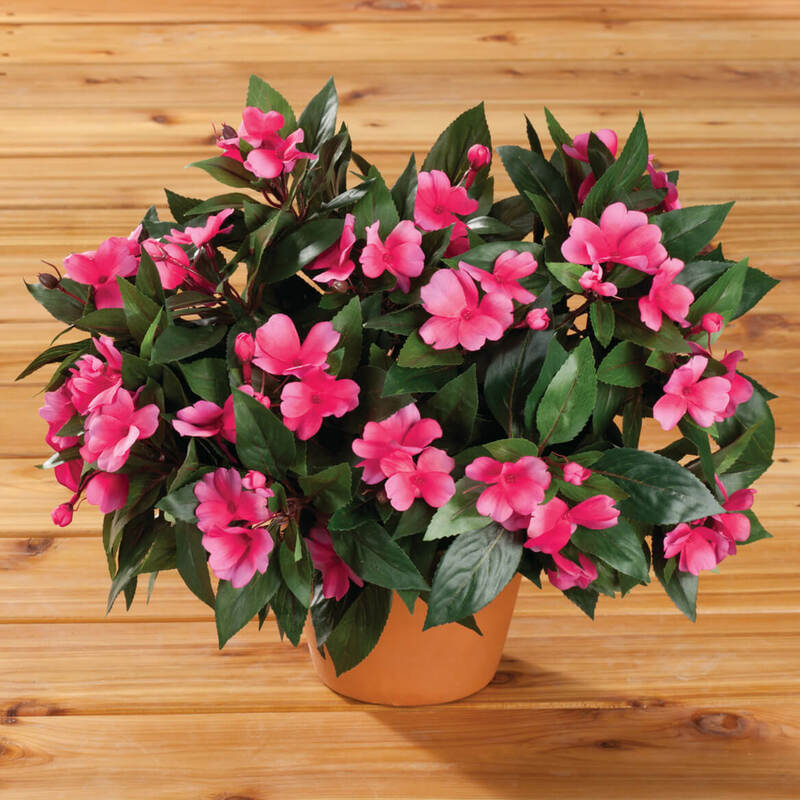 I purchased six of the dark pink silk impatiens to place in two Chippendale planters (which I purchased here as well). I felt they were a little on the pricey side, but am pleased with the product overall. The bush is full--three work well in the Chippendale planter, but four would be my preference. I hope they won't fade too much from the sunlight as I am using them outdoors. At least I know they won't die...hooray :-) I definitely recommend this product. I used these cut and individually placed along with greenery,same impatiens hanging bushes Walter Drake sells along with the white geraniums to create two stunning beautiful patio planters. I bought 4 of these went back and bought 20 more! I use these in my backyard.The color(coral) is so vibrant.From a distance they look real. Since the flowers were pictured in a pot. I assumed they came with a pot. Had I understood that it was a metal stem of flowers, I would have known I needed two to create fullness. In that instance, I would have to decide if the value was worth it. Bought 3 similar last year and came in the pots, as pictured, and good quality. This year's are poor quality, no pots. Bought better quality than these at the dollar store and plan to return these to MK. I bought 31 bushes in prior years, needed to more for flower baskets. This year the same item is totally different, less than half the size, the quality not even 50% than before. I am extremely disappointed about the purchase. I loved the merchandise from 2016 & 2015 - the quality and looks cannot be compared at all with the 2017 delivery. I purchased these impatiens three years ago. They are beautiful and very durable especially during summer storms. I choose these items (artificial flowers) because I use them in hanging baskets. That's because real flowers in a hanging basket die to quickly. I wanted to get artificial flowers to put on my deck. From the picture they look real, Hoping in person they do too so I can order more. I like these, they are very pretty. Each year I order these for planters. looks so real. I use in areas where watering is impossible and they last several years. For our our outdoor garden. My wife wants it to put in our outdoor garden. Pop of color in a spot that's hard to water! I need 3 plants to put in hanging planters. These looked pretty and very real. Local stores don't offer the right type of flowers to be believable in my window box. I love these impatiens - and the fact they can be outdoors. Most silk flowers cannot. Looking forward to getting them! Beautiful addition to my planters on the deck. Flowers make me happy and real ones die from the sun. Perfect solution! 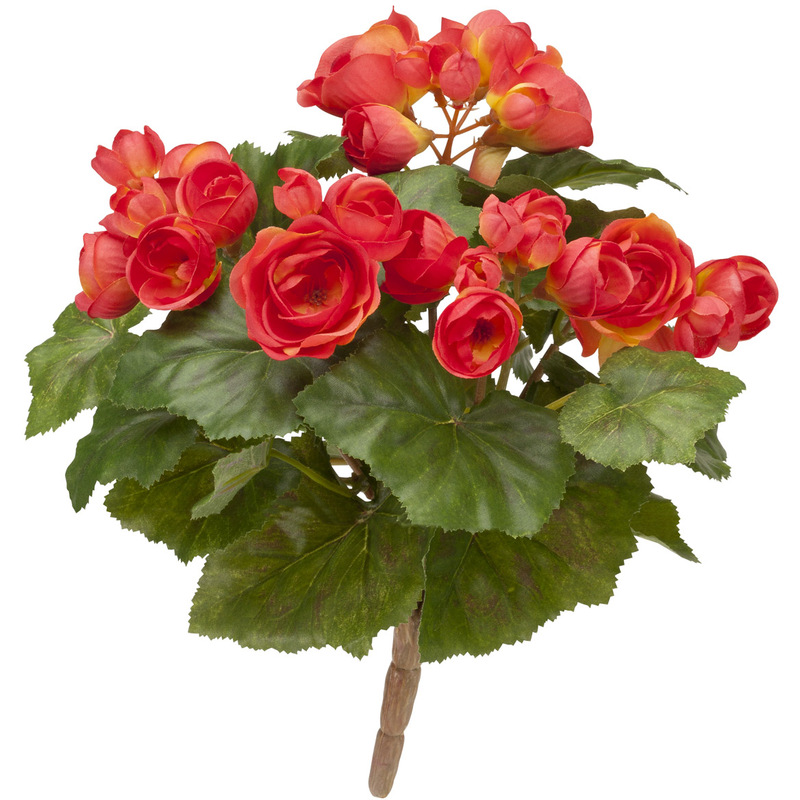 very good quality, look realistic,no worries about watering them! I have a lot of shade area, but also a lot of insects, so I am going to try these in one of my problem areas and see how they work for me! 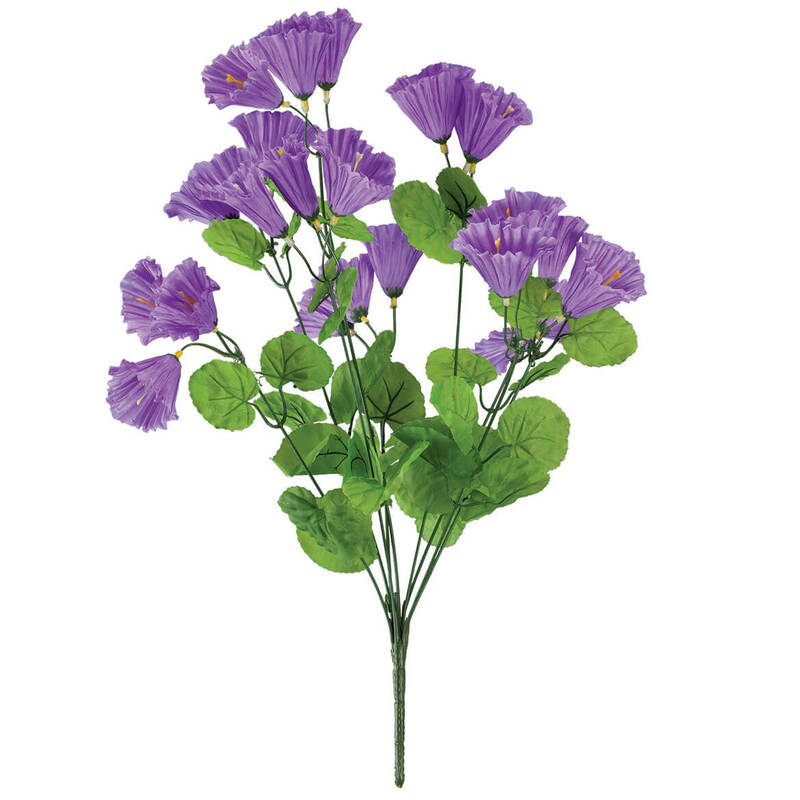 These are the most beautiful, vibrant artificial flowers I have ever seen! I have two huge pots with 12 plants in each and they look amazingly real! I mixed ivy with them and placed them by my pool. I couldn't be happier! Tired of having my impatiens get leggy and/or drop blossoms. Often must replace several times in a season. They are only seen from a distance so I am trying the artificial in hope of saving money and time while getting a better result (season long color). Price was great compared to other options I found. Decorative, easy to care for, can be used where water is not available to brighten up areas where flowers will not grow. I liked how they looked and the fullness, hope they look real outdoors! I was looking for outdoor plants and this looked beautiful and received good reviews. Also I like the price. I think they look real. I sure hope they do! 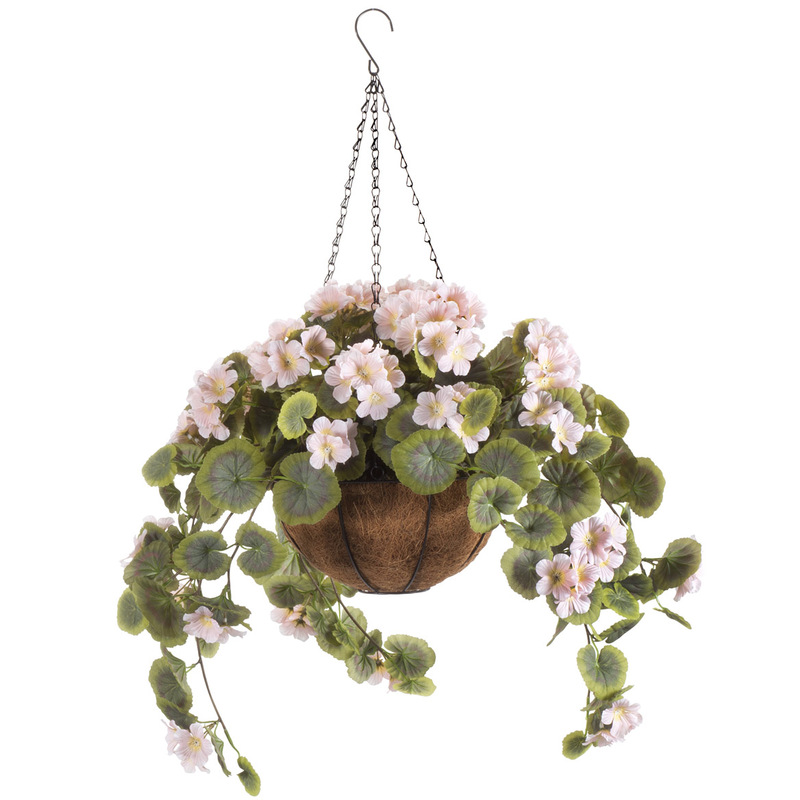 They look beautiful for my hanging flower baskets that are too high to water... perfect price. Love this in white. But order 4 stems of it (or two quantities) to fill a large outdoor pot. I have been enjoying the ones I purchased last year, and decided to add more. The color has remained vibrant. I am no longer able to care for live flowers and plants, so these give me the same effect without the necessary care. Are the flowers made out of material or plastic? BEST ANSWER: They are made of strong plastic. They look real and I had them outside. Unless you touch them, you can't tell they are plastic. The great thing about them was I had them outside and when I brought them in to wash them and they didn't fade in color and looked like new again. The are made of sturdy material. I have a trailer at a campground and just last week put them in storage. They had been out in the elements since spring in a fairly shady spot and have held up beautifully. They are very realistic and I will be getting more for next year. The stems are made out of plastic but the leaves and flowers are made out of material - I really like the impatiens a lot - I chose pink which blend in very well with the real flowers. Thank you for your question. The flowers are made from polyester plastic. We hope this information will be of help to you. Made out of silk withstands the weather n sin in the summer. Also takes a few summers of sun before the color starts to lighten up. They r also "deer proof"!!!!! I would describe it as Poly-Silk. It's not plastic. My mom has these on her covered porch and they've looked good for two summer seasons. They're made out of a silk material and after having them out all summer, they still look like brand new! Love them. I would say they feel more like silk, the flowers and the leaves. The leaves may be "plastic-like"! 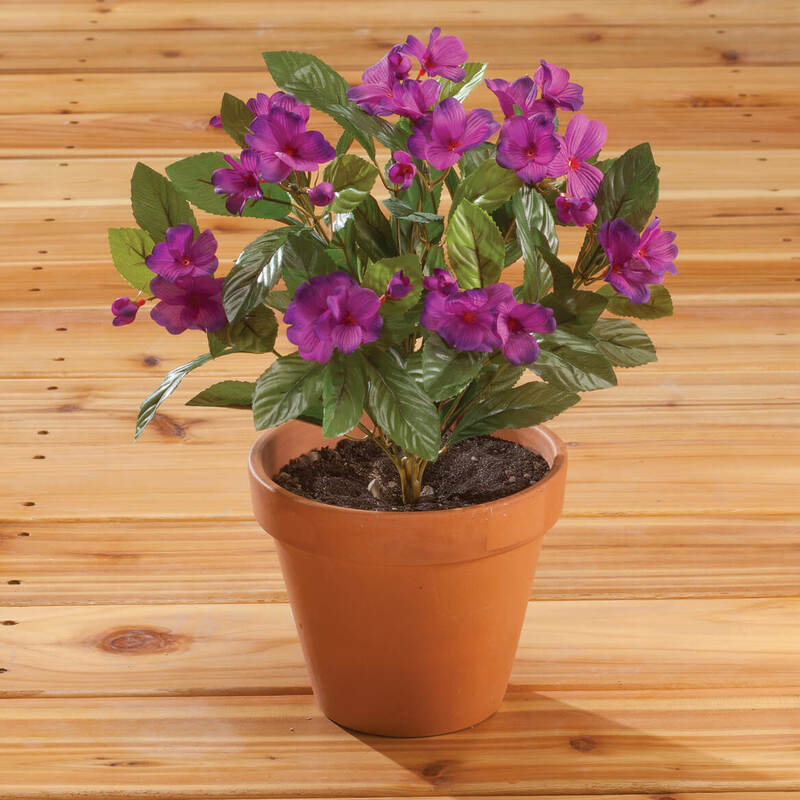 When planting these impatiens in a pot, what do you stick them in to hold them in place since there will be no dirt? I've never worked with arranging artificial plants before. BEST ANSWER: I use just ordinary potting soil or " florist foam". I like to use the type of foam that is made for fresh flower arrangements because it can hold up better if you are placing them in an area that is not protected by the elements, like rain, etc. This is my 2nd year of using them in this manner! I added some dirt and a few small rocks to keep the flowers in place since I have it in a windy location. They look great and I hope they stay nice for a few years! I should add the flowers are hanging in a free standing flower holder, not hanging way up in the air. I have found that decorative rocks or garden soil work fine. 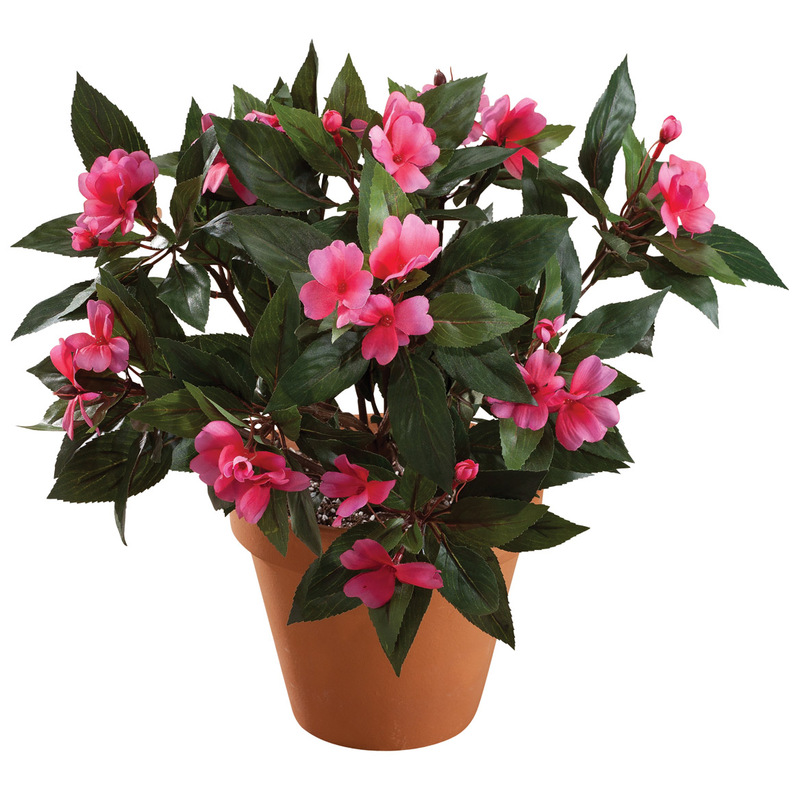 You can also place them in with your real impatiens to have beautiful blooms all year. I used a round 6 1/2" styrofoam disc in each plastic urn. I also poured gravel in each pot to give added weight against strong winds. Oh! Good idea. Thank you very much! Can I take them out of the pot easily? BEST ANSWER: I took 3 Inpatients and have them in a very shady part of our entrance, outside. They look great. Mine came in without pots, but other blooms were easy to take out. P.S. THERE IS NO POT. THEY ARE SHOWING YOU 3 BUSHES IN ONE POT, BUT YOU NEED TO BUY OR HAVE A POT TO PUT THEM IN. Yes you can remove the impatient Bush. I cheat with them all the time. I use them with real for my yard. Mine didn't come in a pot, but I put them in one. They are on there 2nd summer and still look great. Yes....but these look better in the picture than when you get them.....they LOOK artificial. How many flowers per bush? 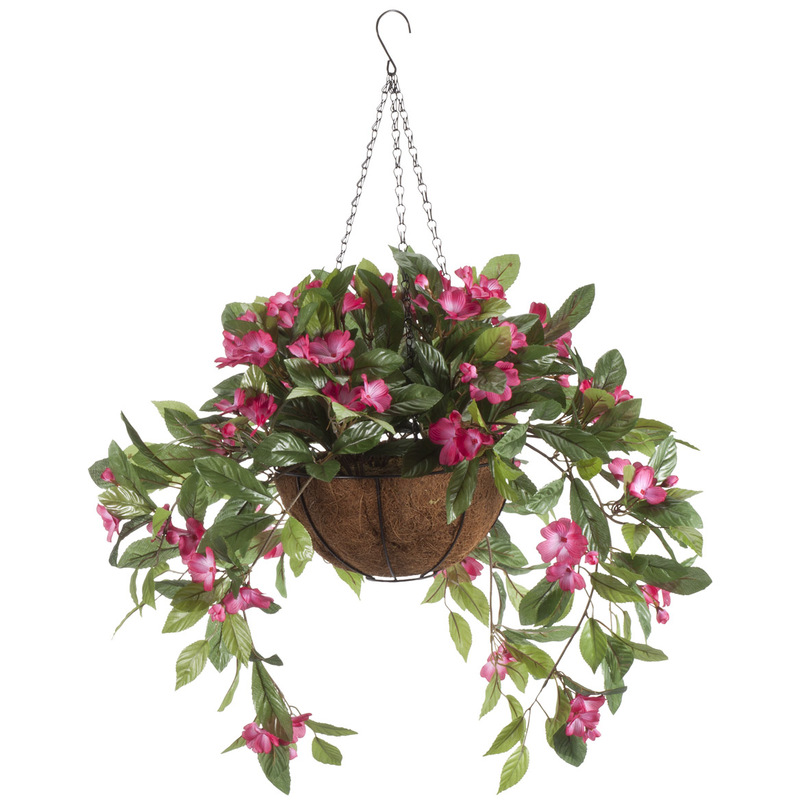 BEST ANSWER: I used my Impatiens Bush as an outdoor hanging plant. I ordered 2 bushes. Each bush has about 6 long stems with 6 - 8 blossoms on each stem. If I would order again, I would order 3 bushes to make the hanging basket look fuller. I had many compliments on my hanging basket...people thinking it was real. Thank you for your question. The bushes will vary from each other but they can have about 11-18 flowers per bush. We hope this information will be of help to you. I counted 10 branches and each branch has a grouping of 3 flowers. What I don't know is if the bush has lost any flowers because the bush has been in the yard for about a year. My count is what the bush currently has on it. I hope this helps you. 18 flower for one bush. How many plants would I need in an 18 inch diameter pot? 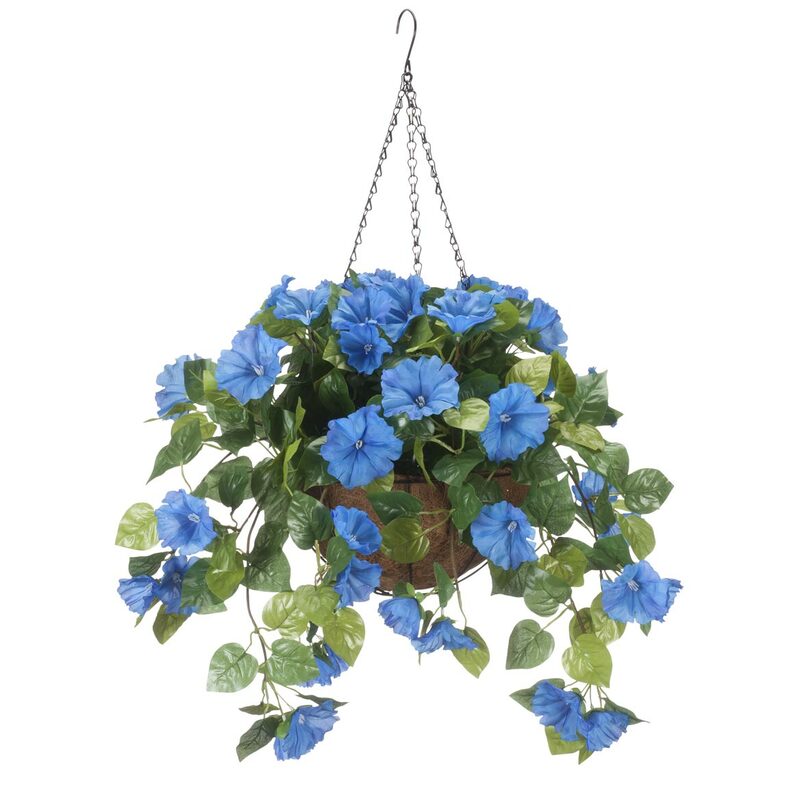 BEST ANSWER: I have 2 in a regular size hanging basket and it looks good but 3 would look awesome. I would put 3. I have two in a 12 inch pot and even that seems a bit sparse. what are the deminsions of the impatiens? BEST ANSWER: Thank you for your question. It measures 18" high by 18" wide. We hope this information will be of help to you. 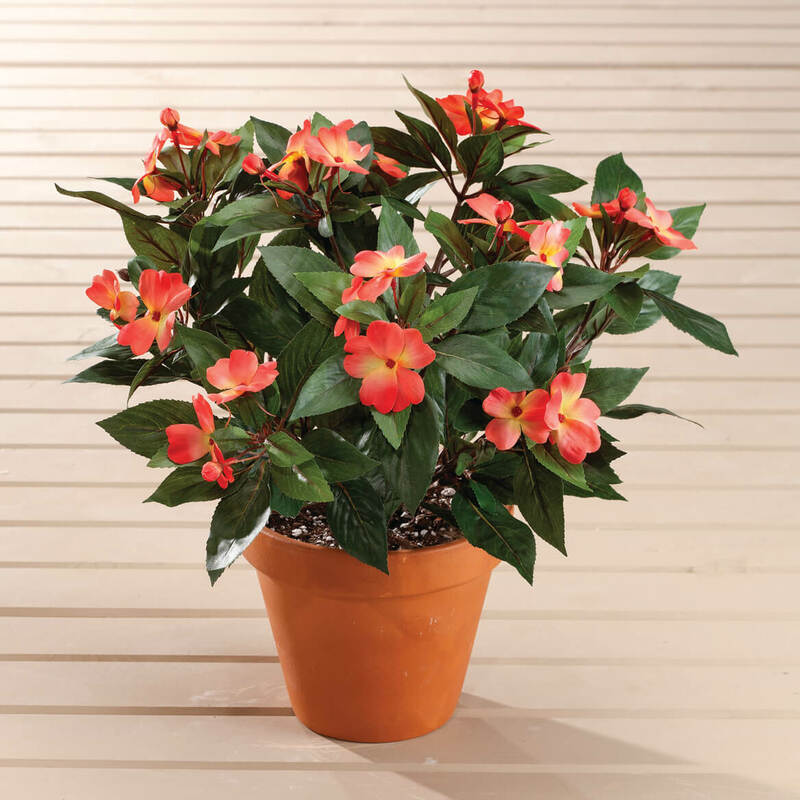 Is orange or coral impatiens still available? BEST ANSWER: Thank you for your question. Unfortunately, it is no longer available. We hope this information will be of help to you. how long does shipping by UPS take? BEST ANSWER: Thank you for your question. Shipping UPS ground will depend on where you are located but generally takes 2-5 days for delivery after processing. Processing on all in stock non personalized items are 1-2 business days in warehouse before it ships. We hope this information will be of help to you.